Ahmed Asi is a PhD candidate in the Department of Theater and Dance, and a Chancellor’s Fellow at the University of California, Santa Barbara. He holds an MA in Theater Studies from UC Santa Barbara, a BA in Theater and Dance from Colby College (ME), and a diploma in Classical Acting from the London Academy of Music and Dramatic Arts (UK). Originally from Karachi, Pakistan, Ahmed has designed curriculum for and taught acting at Beaconhouse National University in Lahore, Pakistan. He was part of a four-person team which received a Davis Foundation Projects for Peace grant to work with university students of mixed and migratory backgrounds in Germany and France; his contributions to the project used theater games to create dialogue about personal and communal experiences under variable public policies and in light of variable popular sentiment regarding assimilation in the EU. 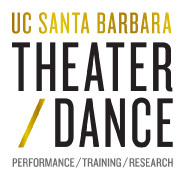 At UC Santa Barbara, Ahmed has maintained a multi-year engagement (as assistant director in 2015 and as teaching assistant in 2016) with The Odyssey Project, a collaborative theater process between youth from a juvenile detention facility in Santa Barbara county and undergraduate students from UC Santa Barbara. In 2015, he served as the on-campus fund-raising liaison for a currently-in-production documentary about the Project. The Kickstarter campaign for the documentary (which contextualizes The Odyssey Project within a broader national conversation about recidivism in the United States and positions art, with rehabilitation, as an alternative to incarceration and penalty) successfully raised over sixty-five thousand dollars in two months. Ahmed’s Master’s project utilized auto-ethnographic playwriting to theorize the lived experience of globalized violence and of digital nativeness, and considered how mediatized narratives inflect personal experience. His current research considers role-playing games as community-based performance. By studying role-playing games across material, digital and hybrid spaces, Ahmed's dissertation looks to clarify how community itself—positioned not only as the site of performance but as being generated by performance practices—negotiates and is potentially transformed by the transition between such spaces. As part of that work, Ahmed is presently conducting an ethnography of creative performance practices within the virtual world of the massively-multiplayer online role-playing game Final Fantasy XIV. He most recently shared early findings from his fieldwork at the 2017 American Society for Theatre Research (ASTR) conference in Atlanta, GA.